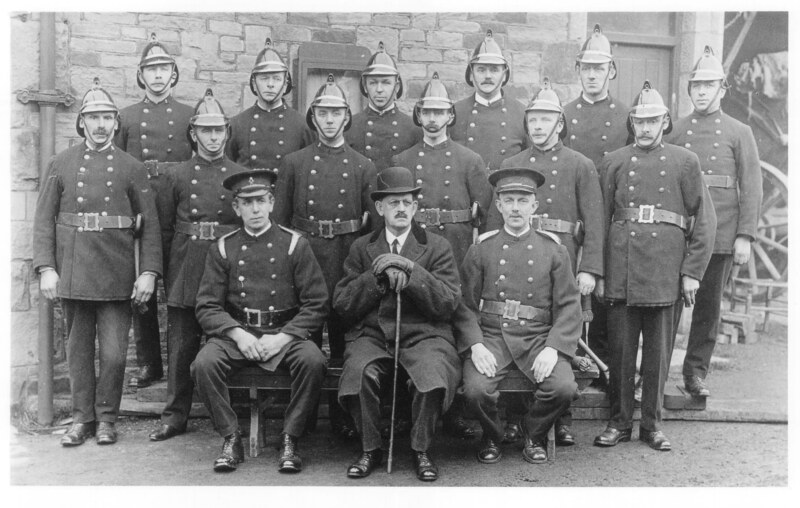 Skipton Fire Brigade c. 1910. Back row, left to right: Percy Fields, Pete Reed (? ), Albert Green, Walter Ellison, Jack Webster, Bill Field. Middle row, l-r: Joe Hardaker, Jack Fennaughty, Pete Reed (? ), Bill Robinson, Alfred Anderton, Arthur Hudson. Front row, l-r: Ernest Thornton, W.E. Aldridge (Superintendent), David Pickles.